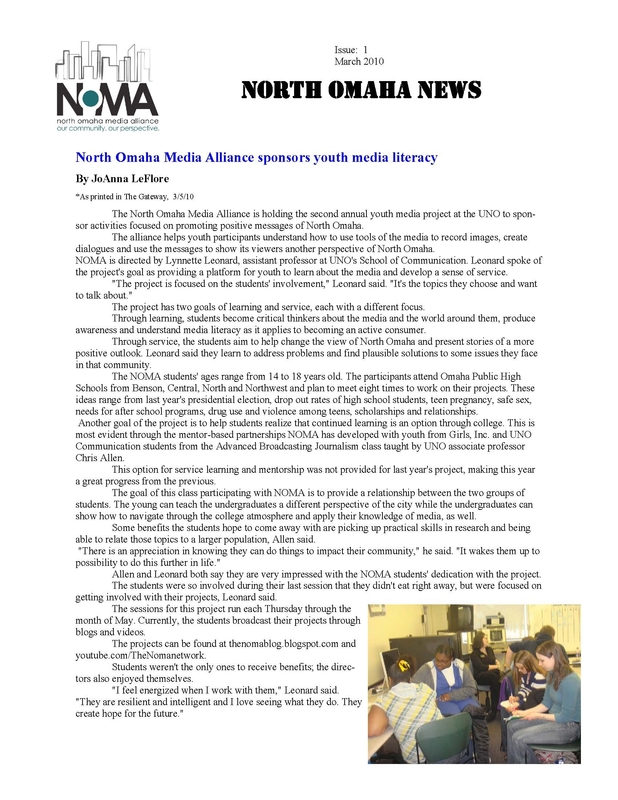 Here is a copy of the newsletter I wrote for the North Omaha Media Alliance. I did not design this, but I did all of the writing except for short bios on page 4. 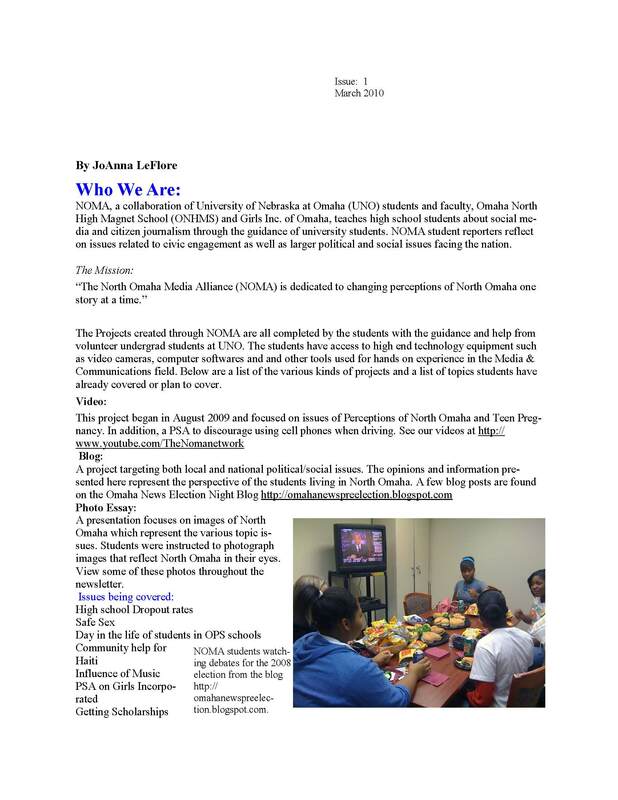 This organization is a mentorship program that teaches high school students about the process of producing broadcast videos, online publications and journalistic style writing. Thier goal is to help the student understand the various aspects of citizen journalism. 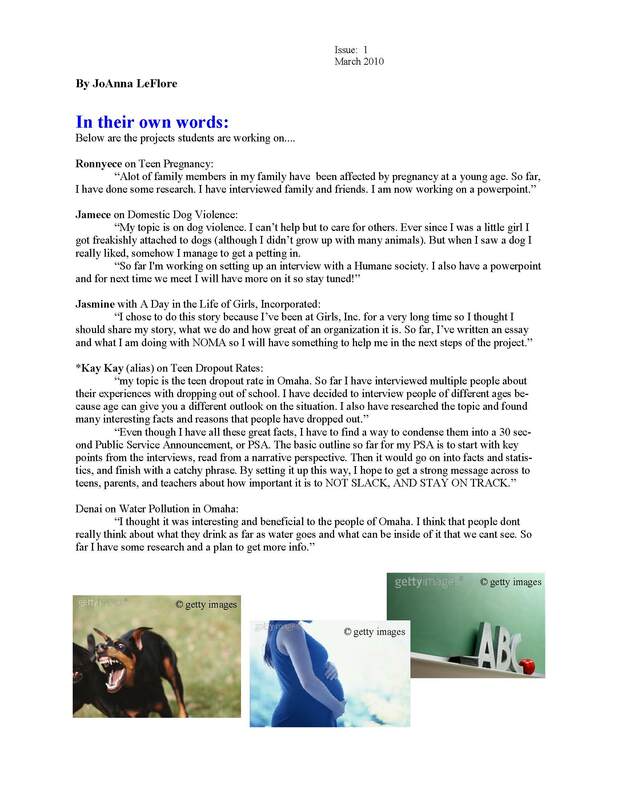 The students have created a blog, ning network, facebook & youtube account to showcase their stories. You can view their ning network here.